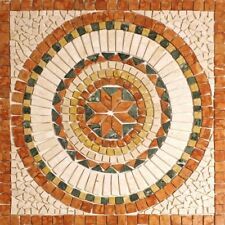 Mosaic size: 100x100x10 mm. We are happy to clarify whether the mosaic is suitable for your application. The mosaic is suitable for the following ranges - Lay out mosaic or borders before gluing in order to test the desired color gamut and homogeneous impression. Mosaic size: 305x305x10 mm. We are happy to clarify whether the mosaic is suitable for your application. The mosaic is suitable for the following ranges - Lay out mosaic or borders before gluing in order to test the desired color gamut and homogeneous impression. We are happy to clarify whether the mosaic is suitable for your application. 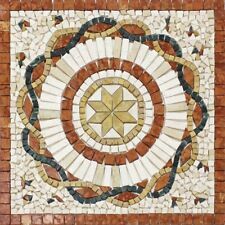 - Mosaic size: 406x70x12 mm. The mosaic is suitable for the following ranges - Lay out mosaic or borders before gluing in order to test the desired color gamut and homogeneous impression. We are happy to clarify whether the mosaic is suitable for your application. The mosaic is suitable for the following ranges - Lay out mosaic or borders before gluing in order to test the desired color gamut and homogeneous impression. Mosaic size: 25-105x15x8 mm. We are happy to clarify whether the mosaic is suitable for your application. The mosaic has abrasion group 4 (for high stress) and would be suitable for the following ranges. 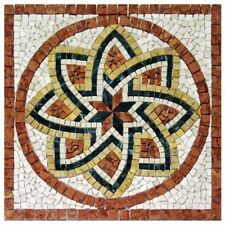 Mosaic size: 48x48x8 mm. We are happy to clarify whether the mosaic is suitable for your application. The mosaic is suitable for the following ranges - Lay out mosaic or borders before gluing in order to test the desired color gamut and homogeneous impression. Mosaic size: 15-69x8 mm. We are happy to clarify whether the mosaic is suitable for your application. The mosaic is suitable for the following ranges - Lay out mosaic or borders before gluing in order to test the desired color gamut and homogeneous impression. Mosaic size: 15-69x7 mm. We are happy to clarify whether the mosaic is suitable for your application. The mosaic is suitable for the following ranges - Lay out mosaic or borders before gluing in order to test the desired color gamut and homogeneous impression. Mosaic size: 25-105x15x7 mm. We are happy to clarify whether the mosaic is suitable for your application. 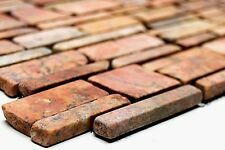 The mosaic is suitable for the following ranges - The substrate should be cleanly flush or upright, if necessary fill. Mosaic size: 32x32x8 mm. We are happy to clarify whether the mosaic is suitable for your application. 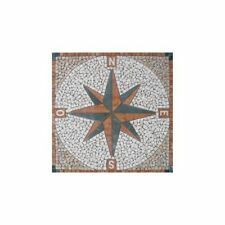 The mosaic is suitable for the following ranges - Lay out mosaic or borders before gluing in order to test the desired color gamut and homogeneous impression. Mosaic size: 25-105x15x8 mm. We are happy to clarify whether the mosaic is suitable for your application. 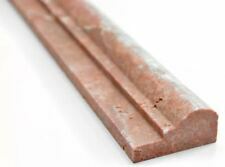 The mosaic is suitable for the following ranges - The substrate should be cleanly flush or upright, if necessary fill.